There's always a reason to smile when you get an extra dish for the price of one. And that's exactly what these combos will make you do! Our deconstructed vegetarian take on the famed burrito is a hall-of-famer! A steak of paneer, infused with hot and tangy habanero-jalapeno duo, is grilled, sliced and served with an exciting satiating trio of tomato-paprika rice, spicy refried beans and crunchy roasted-corn salsa. The delicious main is paired with a delectable slice of velvety Choco-Mango Fantasy cake. They say good things come in pairs and this fantastic combo is proof! 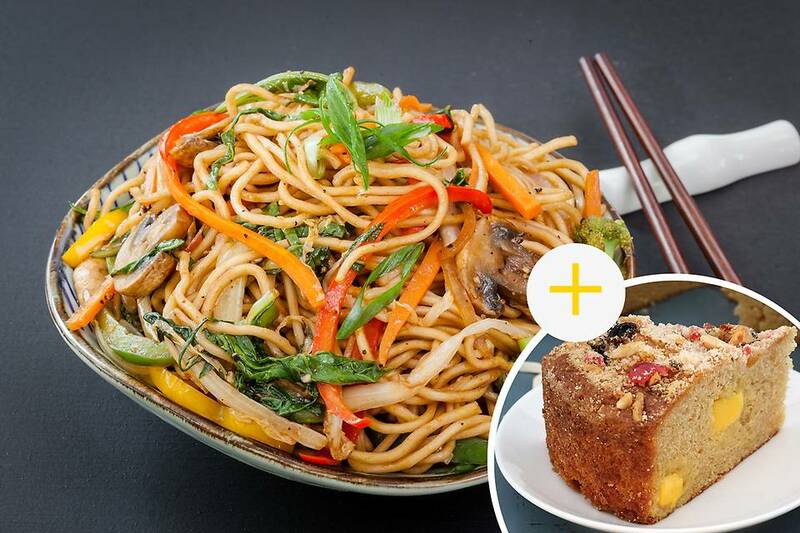 A delicious bowl of American Lo-Mein is served with an equally delicious slice of Peach-Tea cake! They say good things come in pairs and this fantastic combo is proof! 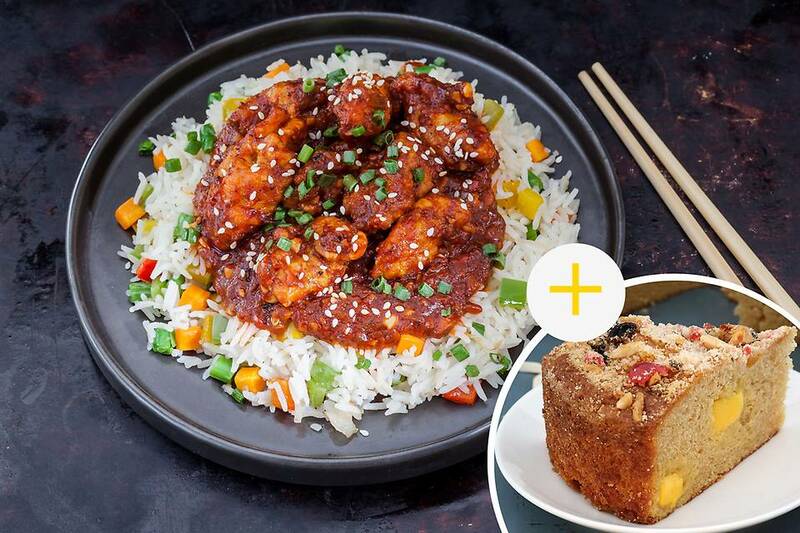 A mouth-watering, delicious bowl of Korean Sesame Chicken is served with a decadent, sweet, slice of Peach-Tea cake! If rice is your thing and paneer butter masala makes you go weak in the knees, then this dish is meant for you! Delicious paneer tikka cooked in a rich tomato makhani gravy served on a bed of aromatic coriander pea rice. 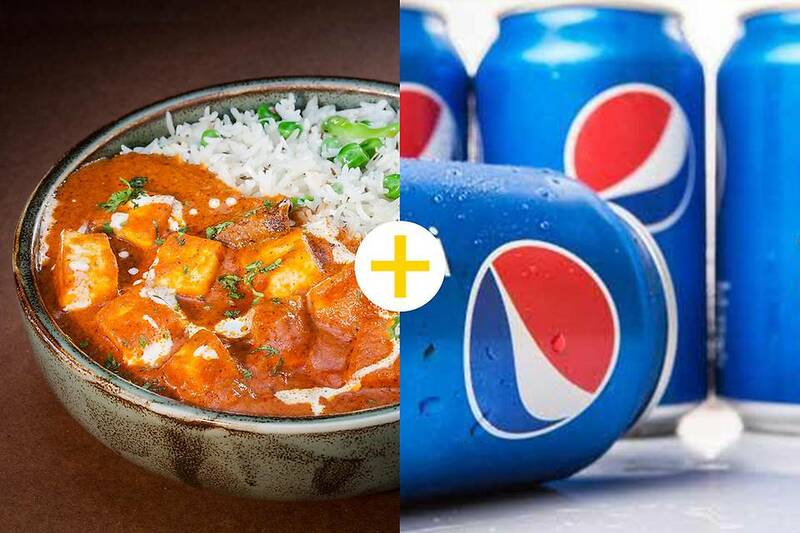 A refreshing can of Pepsi (330ml) accompanies your Paneer Butter-Masala 'n' Peas Pulao. Go off kitchen duties in no time! Check out FreshMenu.com and order now!